The wili wili trees have a gnarled orange trunk and tangled canopy. As a deciduous tree is it bare through the dry season. 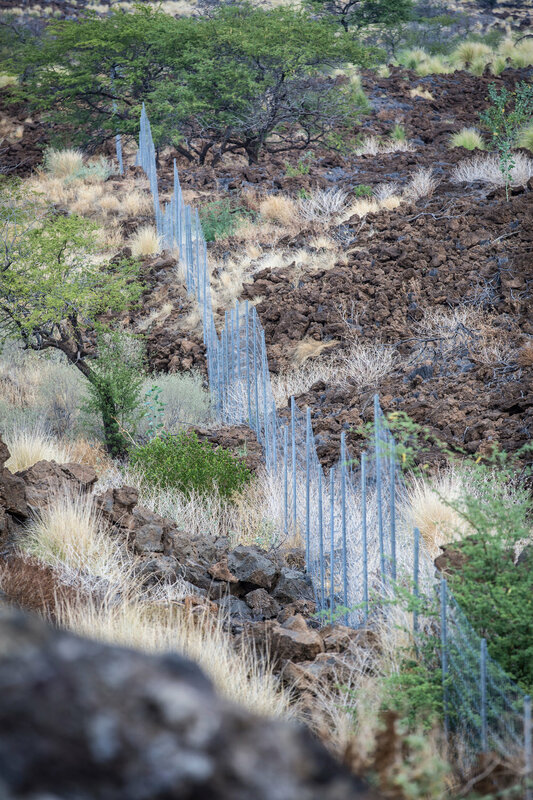 This dry forest tree then sets the barren lava landscape of South Kohala in a blaze of fiery orange blooms. 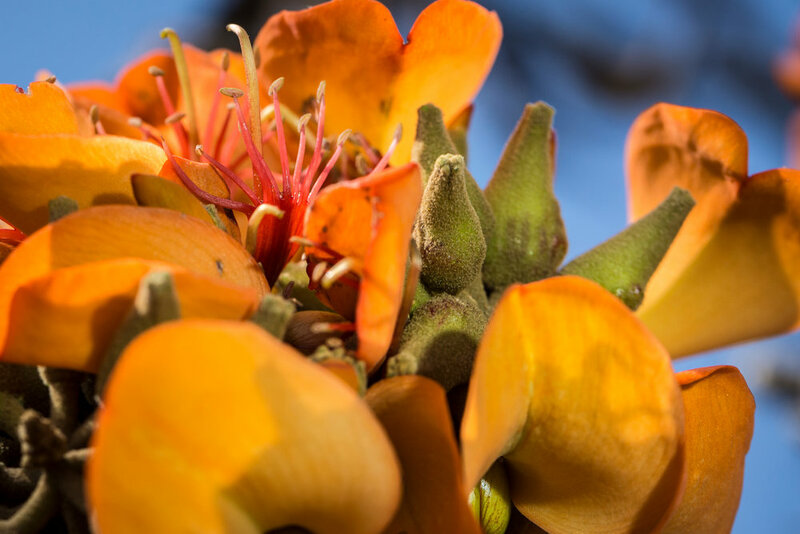 These blossoms are then pollinated by songbirds to producing bean pods that twist open, revealing bright red seeds often used for beautiful leis. The flower clusters known as racemes crowed in mass near ends of twigs, at end of yellow stalk. Some of the trees standing 200 years old are towards the end of the life cycle and are unfortunately not by the numbers once present in Hawaii. 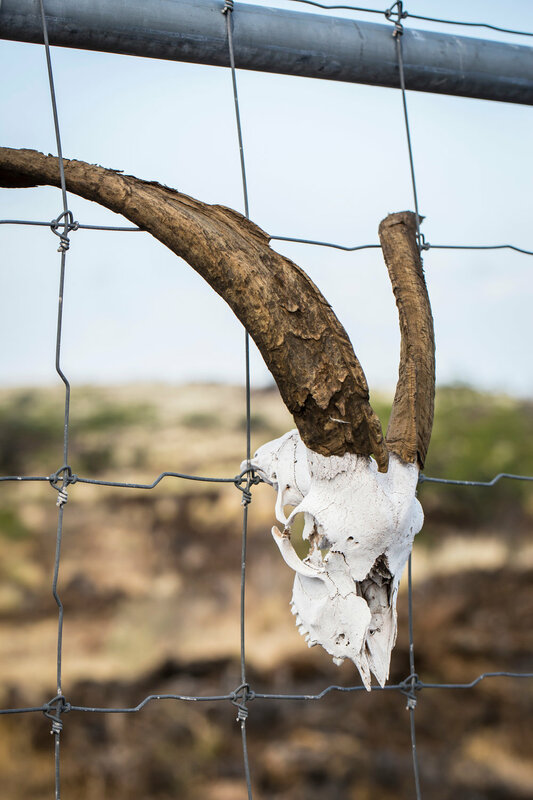 The over harvesting of the co-habitating sandlewood tree, and the introduction of pests such as goats, cattle and wasps have depleted the population. 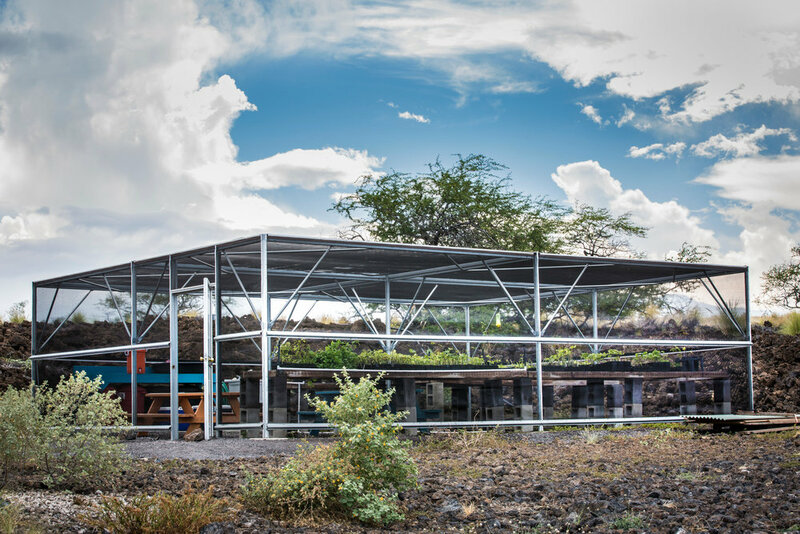 The South Kohala wiliwili are being studied, preserved and protected by the Waikoloa Dry Forest Initiative. Each year the Annual Wiliwili Festival is held to help generate support for the non-profit in addition to the Dusty Donkey forest restoration and community education programs. Wiliwili means ‘repeatedly twisted’ in Hawaiian and was the name given to the tree due to its distinctively twisted seed pods that contain between one and three cherry-red or yellow-orange. The seeds of the endemic wiliwili sink in water, while the seed pods of the non-endemic varieties contain several smaller brown seeds that, float in water. In 2005, the Erythrina gall wasp arrived in Hawaii. The wasp exclusively favored the wiliwili and laid its eggs on the trees’ leaves causing them to gall. In 2008, after research to establish that no negative consequences would arise from the introduction of another non-endemic species, The Hawai‘i Department of Agriculture released Eurytoma Erythrinae, a wasp, from Tanzania in East Africa, whose eggs hatch before the gall wasp and will feed on the Tanzanian wasps’ larvae.